If there’s anything more popular than investing in gold and silver in the 21st century, it is the ever-present image and power of Disney. Powered for nearly a century by the lovable image of a mouse, Disney has grown from its cartoon base of simple characters and princesses to include a vast array of theme parks, films, and merchandise products. 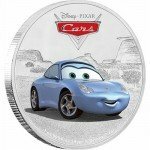 Combining these two in-demand products together on a regular basis, mints and refineries around the globe are beginning to introduce silver collectible coins featuring the images of some of the most beloved characters from numerous Disney franchises. Among the most popular and visible items are those bearing the image of Mickey Mouse, but one of the strongest franchises for Disney are its many princess-themed films. Whether it’s the lovable Mickey Mouse or the fairy tale stories of Disney Princesses, old and new, Silver Disney Coins are gaining popularity at the moment for their beautiful design and impressive silver content. Currently, there are two major world mints producing Silver Disney Coins. Explore your options below! Maximum mintages set at 10,000 coins per design release. Coins arrive encapsulated in plastic inside of a storybook-themed case with full-color artwork from the feature film Frozen. 1 Troy oz of .999 pure silver. Each coin bears a face value of 2 Dollars (NZD) and is legal tender in Niue. The obverse side of each of the coins in this series features the familiar right-profile portrait of England’s Queen Elizabeth II. Her Majesty’s image was created in 1998 by Ian Rank-Broadley, and represents the fourth-generation portrait of the Queen to feature on commonwealth coinage during her reign. Engravings include the nation of issue, year of issue, and face value of the coin. Queen Elsa (1st release): The reverse of the 2016 1 oz Silver Niue Disney Princess Elsa Coin features another queen with a little more magic in her bag of tricks. Queen Elsa is captured with the brilliant, colorized Northern Lights in the sky behind her, with her blue dress and long, snow-white hair all captured in real-life hues. Princess Anna (2nd Release): On the reverse of the 2016 1 oz Silver Niue Disney Princess Anna Coin is the colorized image of Anna, wearing her familiar clothing from the film with full color. The background of the top half of the coin’s reverse features the beautiful, full-color appearance of the Northern Lights. 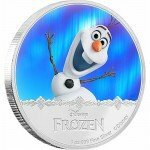 Olaf the Snowman (3rd Release): On the reverse of the 2016 1 oz Silver Niue Disney Frozen Olaf Coin you’ll find the image of the happy, laughable snowman Olaf from Frozen. Olaf is captured in brilliant color, and the background shows flashes of the Northern Lights, with the bottom third of the coin maintaining its silver finish. 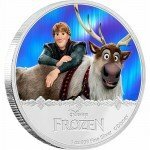 Kristoff and Sven (4th Release): On the reverse of each Kristoff and Sven Silver coin you’ll find the colorized image of Kristoff as he leans up against his friend, Sven the reindeer. The duo are highlighted in the background by the Northern Lights flashing in skies above the kingdom of Arendelle. 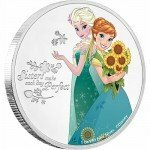 Anna and Elsa (5th and Final Release): The reverse of the 2016 1 oz Silver Niue Disney Frozen Princesses Elsa and Anna Coin you’ll find the two sisters, captured in brilliant, full colorization. The background field of the top half of the coin is similar to all four previous releases in the series, with the northern lights illuminating the skies over the kingdom of Arendelle. For the Mickey Through the Ages collection, the New Zealand Mint has followed a popular design motif in its catalog that focuses on the many characters made popular by the Walt Disney Company over the course of nearly 90 years. Of course, chief among those characters is the mascot for the entire company, Mickey Mouse. Mickey Mouse made his debut in a brief pre-screening of the animated short Plane Crazy in 1928, but he would later become a national phenomenon in the United States in 1928 with the release of Steamboat Willie. That latter animated short was the first ever created that synced the voices and sounds of Mickey Mouse with the actions on the screen, and also introduced the world to his girlfriend, Minnie Mouse. From there, Mickey Mouse has exploded into a global cultural icon that is recognized easily by children and adults around the globe. The Mickey Through the Ages collection from the New Zealand Mint chronicles the maturation and appearances of Mickey Mouse over the course of his early animated shorts and, eventually, more recent films. 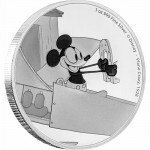 Each new release in the Mickey Through the Ages Series includes a 1 oz Silver Disney Coin, featuring Mickey Mouse from a different era and animated short or feature film. Arrives in a wooden coin case with themed outer packaging and a Certificate of Authenticity. Reverse includes a colorized image of Mickey Mouse. The Band Concert Series: The Band Concert was a seminal moment in the history of American animation, and that of the young Walt Disney. While Mickey debuted seven years earlier in Steamboat Willy, the 1935 release of The Band Concert was memorable because it was the first animated short ever created in color. On the reverse of the 2016 1 oz Niue Silver Mickey Mouse The Band Concert Series coin is a colorized image of Mickey Mouse in his role as the bandleader, just as he appeared in the original film more than 80 years ago. Brave Little Tailor Series: Released in 1938, The Brave Little Tailor was one of the most elaborate and expensive Mickey Mouse cartoons of the day. In fact, it remains one of the most expensive and elaborate Mickey productions to this day. However, the expense was worth it as the film was nominated for an Academy Award in 1939. On the reverse of the 2016 1 oz Niue Silver Mickey Mouse Brave Little Tailor Coin features the image of Mickey Mouse in full color from the film as he leans on a small sword, complete with a big smile on his face. Engravings include the weight, purity, metal content, name of the film, and release date for the film. Plane Crazy Series: One of the first appearances of the Mickey Mouse character came in the 1928 short film Plane Crazy. On the reverse of the 2016 1 oz Niue Silver Mickey Mouse Plane Crazy Series Proof Coin is the image of Mickey as he sits in the makeshift cockpit of his plane. Unlike other silver coins in the Mickey Through the Ages series, this coin has black-and-white colorization to the design only because the original film was in black-and-white. Fantasia Series: Fantasia was released in 13 different cities across the US in November 1940, but was extremely expensive to put on as Walt Disney leased theaters in each of those cities and brought in special fantasound systems to properly provide audio accompanying the film. The reverse of the 2017 1 oz Niue Silver Mickey Mouse Fantasia Series Proof coin includes the image of Mickey Mouse as the Sorcerer’s Apprentice, with full colorization added to bring the iconic character to life as seen in the feature film. All Silver Disney Coins in the Mickey Through the Ages collection feature the same obverse design set. On the obverse of all coins is the iconic image of Queen Elizabeth II. Her Majesty has appeared on the obverse of commonwealth coinage since 1952 when she ascended to the throne of England. This depiction comes from Ian Rank-Broadley in 1998 and is the fourth-generation image of the Queen. Silver Disney Coins are available in a variety of Disney-themed design ranges, and not all of them fall into a sequential series. Some are merely struck as part of larger collections aimed at representing an entire lineup, such as the Disney Princesses collection or the Disney Classics collection. Each of these coins has different mintage figures, but they both share the common obverse design of all New Zealand Mint coins; the right-profile portrait of Queen Elizabeth II. Frozen Sisters Proof: Separate from the Frozen – Magic of the Northern Lights collection, this coin celebrates the tale of sisters Anna and Elsa, who grow up as close as any two sisters can be in the kingdom of Arendelle. Though they suffer through some time of separate because of Elsa’s potentially dangerous powers, the sisters share a bond that is unbreakable and undeniable to any viewer of the film. 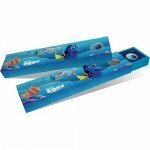 Moana: These coins have a limited mintage of only 10,000 coins and come in a storybook-themed box. In the newest Disney film to be released, the franchise travels to the Oceania region of the world to follow the epic journey of Moana and Maui. In the film, Moana sets out on a journey across the Pacific Ocean to prove to her people that she’s a master wayfinder just like her ancestors. She encounters the demi-god Maui during her travels, and together they face the open ocean in a voyage that sees them cross paths with fiery creatures and the potential for harm. The reverse of the 2017 1 oz Silver Niue Disney Moana coin includes the colorized image of Moana and Maui as they sail across the Pacific on their ancient craft. The scenes depicted come straight from the film and includes colorization to bring the coin’s design and imagery to life for the viewer. The official sovereign mint of France, the Monnaie de Paris (or Paris Mint), has recently introduced its own Mickey Through the Ages collection of coins. Featuring silver and gold options, this is the only program that includes two Silver Disney Coins in a Mickey-themed design. On the obverse of the 2016 Proof Silver French Mickey Mouse Through the Ages coin you’ll the image of Mickey Mouse. Based upon his original 1928 appearance, you’ll notice Mickey in his iconic red shorts, with white buttons, and his big yellow shoes. In the background is a mirrored finish, left-profile of Mickey’s head. The reverse of the Mickey Through the Ages Silver Proof includes a right-profile portrait of Mickey Mouse, with his facial features included. His cheerful smile and big eyes are visible, with engravings in his upper ear of the face value, and the year of issue engraved in the lower ear. On the obverse is a collection of five Mickey Mouse characters from his evolution through the decades. In the lower left is one of Disney’s original drawings, followed by a clockwise order that includes Steamboat Willie, one of the first colorized Mickey images, and his character from Fantasia. The reverse side of the 2016 5 oz Proof Silver French Mickey Mouse Through the Ages Coin includes the right-profile portrait of Mickey’s face that has become so iconic. The design includes the face value of the coin, engraved in one of Mickey’s ears, along with the year of issue engraved in another ear. The Monnaie de Paris is the official sovereign mint of the French government. Created in 864, it is the oldest continually operating institution in the world and originally shared the duty of French coining with smaller, provincial mints in France. Today it is the primary issuer of French currency. The New Zealand Mint is a private company with its headquarters in the capital of Auckland. The mint excels in producing legal tender collectible coins, gold bullion products, and medallions. It was founded over 40 years ago, and today it is the only precious metal mint located in New Zealand. Central to its global status, the New Zealand Mint can boast that it was one of the world’s first mints to adopt .9999 purity as a standard in its gold bullion products. The mint sources all of its precious metals from international locations, producing coins and medallions using a minimum fineness of .999 for silver and .9999 for gold. The quality and impressive nature of the designs on New Zealand Mint coins puts it among the elite in the world of precious metals, with several coin programs that are coveted by the global community. When you purchase Silver Disney Coins on Silver.com, you’ll find a number of payment methods available to complete your transaction. We accept Visa and MasterCard credit and debit cards, as well as paper checks, Pay Pal transfers, and bank wire transfers. Credit and debit cards have a maximum purchase of $5,000 and generally take one business day to process. Paper checks have a 4% discount relative to credit and debit cards, as well as a higher maximum of $40,000, but take four to six business days to process. Pay Pal transfers are capped at $60,000 and process instantaneously. Bank wire transfers have the only minimum purchase, at $2,000, but also have the highest maximum at $100,000 and process instantaneously. Silver.com offers an affordable, tiered shipping schedule. All purchases in excess of $3,000 qualify for free standard shipping and insurance. With any purchase, expedited shipping is available for an extra fee. The United States Postal Service or UPS will handle shipping of all goods. All Silver.com products are packaged in discreet boxes for shipping to conceal the identity of your products while in transit. Should your packages suffer damage or become lost/stolen, Silver.com will work to correct the situation. For lost or stolen products, we work with the carriers to try and locate the packages. If your products are damaged, we try to provide replacement products, but are often limited to available supplies. 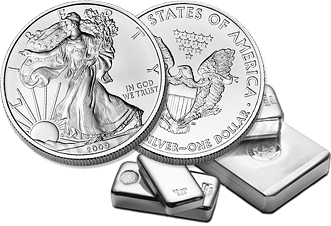 If all else fails, Silver.com will file an insurance claim on your behalf to recover your purchase price. If you have any further questions about Silver Disney Coins, please don’t hesitate to ask Silver.com. Our associates are available on the phone at 888-989-7223, or you can connect with us online using our live web chat and email features. And be sure to check back with Silver.com as future releases of Silver Disney Coins from the New Zealand Mint and others!